For shipping to other EU countries visit this page Yi Action Camera Bike Mount. Chcete doručit zboží do Česka? Prohlédněte si Yi Action Camera Bike Mount. Chcete doručiť tovar na Slovensko? Prezrite si Yi Action Camera Bike Mount. Für Versand nach Österreich, besuchen Sie bitte Yi Action Kamera Fahrradhalterung. 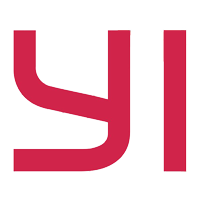 For shipping to the United Kingdom visit this page Yi Action Camera Bike Mount. Magyarországra történő kiszállításért tekintse meg ezt a termékoldalt: Yi Action Camera Bike Mount.